We all need “sisters” in our life. They come from all kinds of different places, and serve all kinds of different roles. 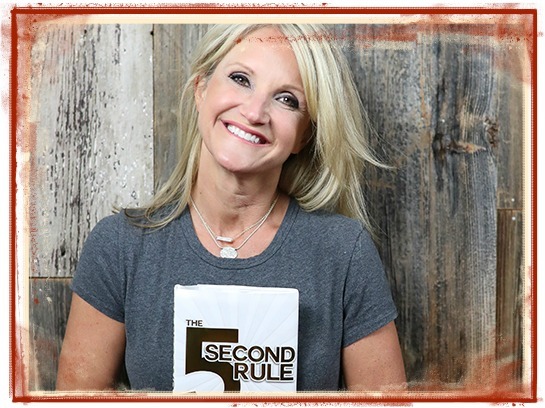 I am blessed to have Mel Robbins as one of mine. Mel IS a #1 Bestselling Author, and a CNN commentator. She was a lawyer, and her Tedx talk has had over 10 million views. She is the most booked motivational speaker in the world and is a powerhouse with two 7 figure companies. None of those things are the reasons I love her. She is good and kind and true and honest and direct and smart AND firmly in my corner (all important components of a soul sister). Today in Mel’s weekly “Take 5 With Mel” she shared OUR Wild and Wise Sisterhood gift box. She didn’t have to do that. She did it because she thinks it’s awesome, and wanted to share it with her tribe – just like I share all the awesome things I love with you. In honor, I am going to share Mel’s quote with you, and hope you consider subscribing to receive your own weekly “Take 5 with Mel”, and take advantage of the extension to receive the first Wild and Wise Sisterhood gift box in time for the holidays. The Wild and Wise Sisterhood Box. Last month I was sent this subscription box from The Wild and Wise Sisterhood and I gotta tell you…I was blown away. Well, I don’t have to tell you. You can watch the unboxing by clicking here. When I give gifts, I want them to be meaningful. I don’t care if I’m sharing a hand-written note or homemade trail mix, I feel a whole lot better giving something that I know came from my heart. Research continues to show that giving makes us feel better. So to know I can empower artisans and their children around the world with this gift feels good. We all deserve to feel empowered, and when we do, the world gets better. Wild and Wise agreed to postpone fall shipments just for us–so we can get our orders in for pre-holiday delivery. Order by Sunday if you want in! Want to order more than one box? Talk to us about bulk orders and pricing!